Steampunk is a subgenre of the science fiction and fantasy cultures. However, in recent years, it has become a popular fashion movement that combines Victorian inspired clothing with technological advancements. While it is fairly new to the limelight, Steampunk fashion has been around for decades, especially in the costuming community. 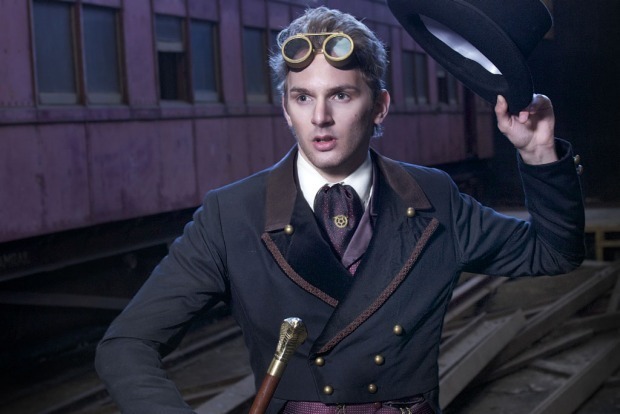 If you’re new to dressing in Steampunk style, you may be wondering how to accessorize to get the most out of your look. Fortunately for you, it’s much easier than you may think, especially if you have a little bit of creative flair and know-how for do it yourself projects. Most gloves used to accessorize Steampunk fashion will be either leather or lace. Some may be fingerless or may have clockwork elements intertwined in them. Scarves selected to accent steampunk outfits are typically chosen for their earth tones with unique or vibrant prints. Typically a fringe or silk scarf would be worn. Corsets are traditional steampunk accessories. Under-bust is traditionally the route women take, but, you can also wear a full length corset. Leather belts with buckles and clockwork designs are a great way to accentuate the Steampunk look. A Victorian style bustle is used to accessorize a Steampunk dress, which helps to accentuate natural curves. While you may not always want to wear a coat depending on the weather, in the cooler months, you may choose to wear a trench coat or a high waist coat. Some people even wear military style jackets such as bomber jackets. Aviator goggles or bottle glass goggles that are accentuated with gears or spikes are an exceptionally great way to accessorize a Steampunk look. Alternative or Steampunk inspired sunglasses can also be purchased to help accessorize the look. 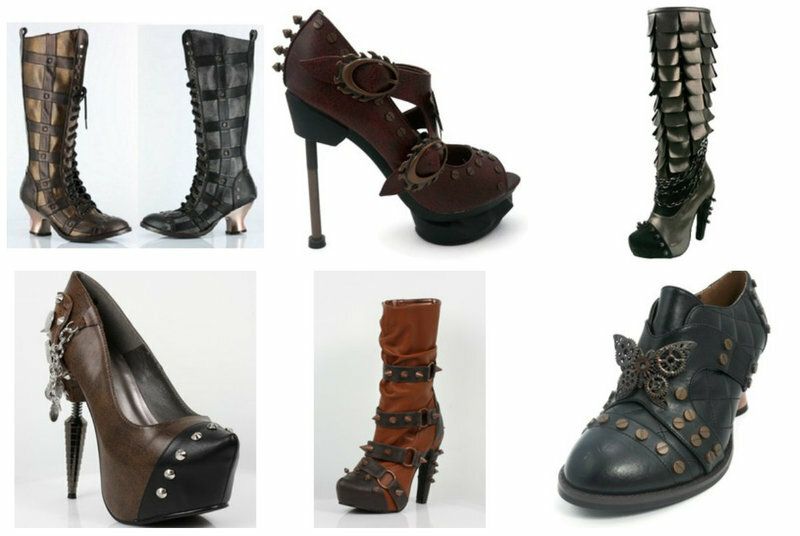 Military or Victorian inspired boots are extremely popular for both men and women in the Steampunk community. Of course, vintage inspired heels are always popular for the women, and can add a couple of inches for women who don’t wish to get their dresses hemmed. Small top hats fastened by pins, oversized bowler hats, scaly caps, or standard top hats are very popular hats to accessorize with. 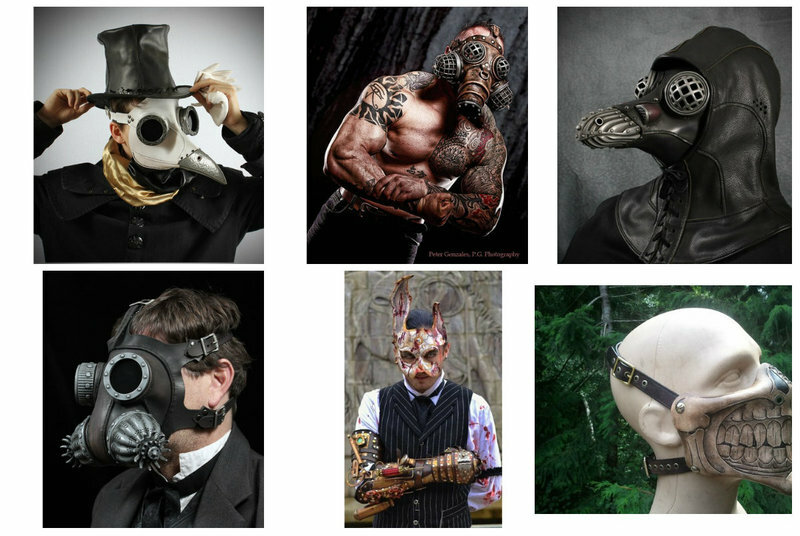 Masquerade masks, welding helmets, or gas masks are also very popular with Steampunk culture. If you don’t like the idea of wearing them, strapping them to your hip can also create visual interest. Pick something with bronze or earth tones such as a strap bracelet, watch, and charm bracelets with a rustic or vintage feel to them. Steampunk bracelets are meant to be bold statement pieces. 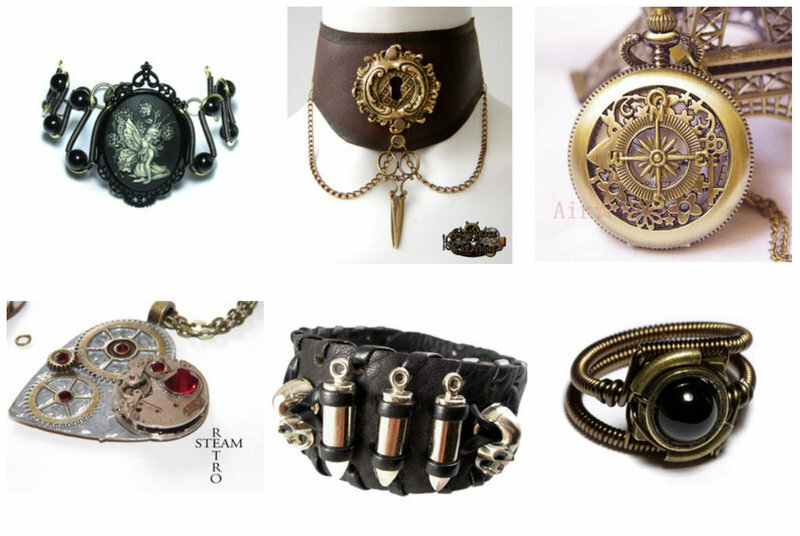 Steampunk necklaces have elaborate details. Go for drama with a long pendant, choker, or a multi-chain necklace in multi-tonal metals or bronze. Aviation or industrial element earrings are a great way to go. But, you may also want to look into Steampunk inspired earrings with feathers, gears, keys, wings, and other vintage elements. Make sure your Steampunk rings are more of a gold or bronze tone to go with the natural look of the genre. 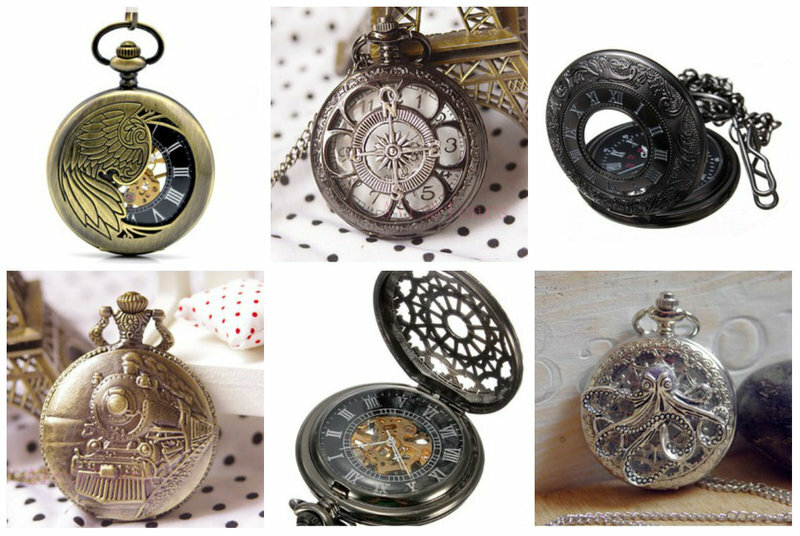 Gears of course play a huge role in how to accessorize a Steampunk look. Remember, clocks, aviation, and Victorian fashion are all blended together to create a cohesive look. If the above accessories don’t suit your overall look, try adding a Steampunk watch or some tools to add a harder more masculine edge. Remember, some additional things that you may want to carry around with you would be umbrellas and parasols, a cane, decorative weapons, and holsters and straps in leather. 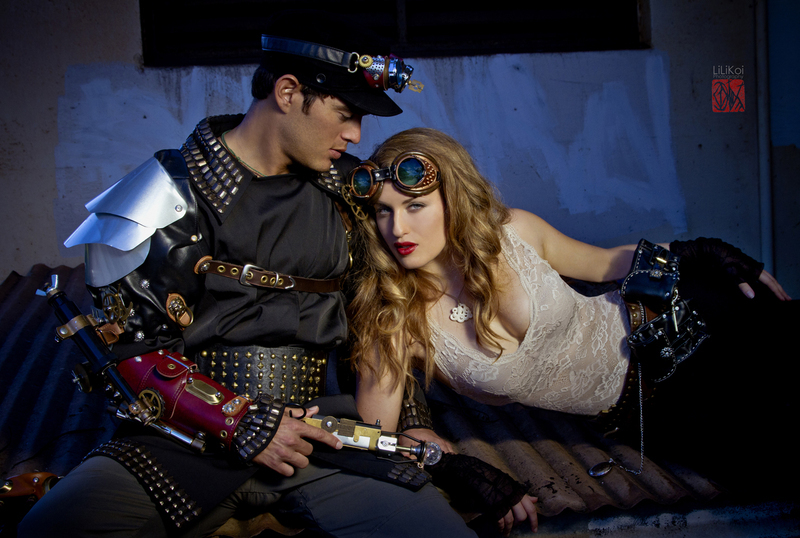 At the end of the day, Steampunk fashion is all about being comfortable in your own skin and showing off your unique style. 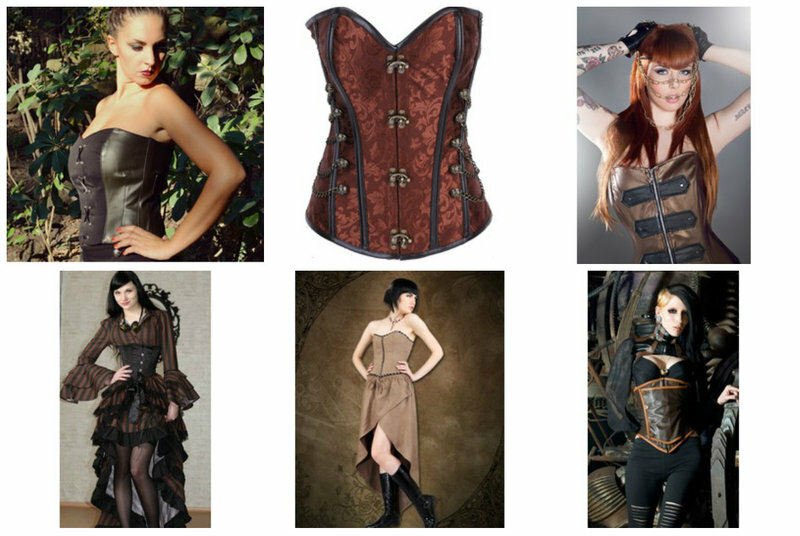 Do you love the look of Steampunk fashion? Which pieces would you consider trying? 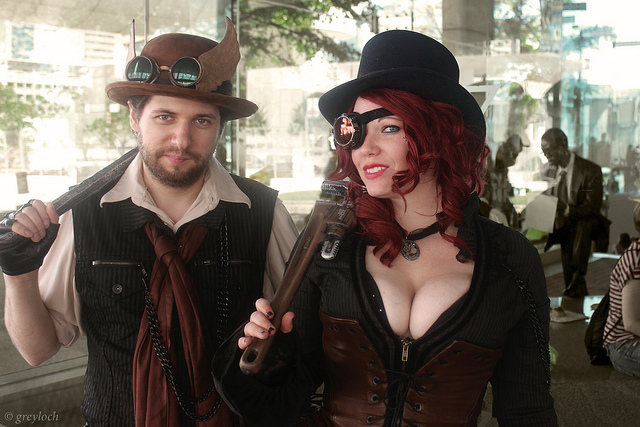 Steampunk movies you should see.